this weekend was full of a lot of fun-dance fun. 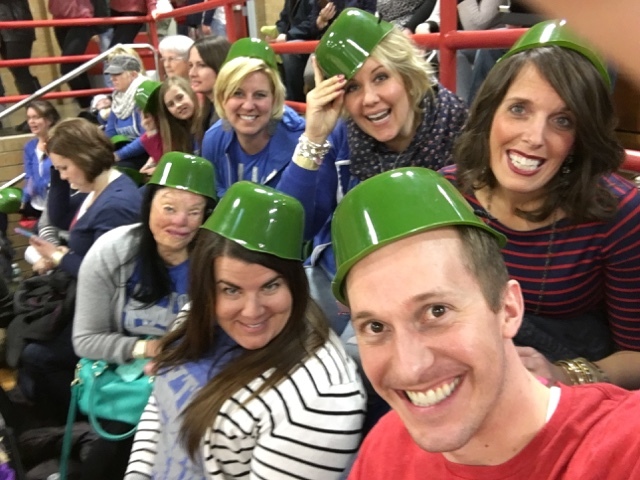 my friend michelle coaches the layton high school drill team. i've been to dance competitions before, but this was the first time i was so dedicated to the team. i love dance! i grew up dancing my whole life until college. i even took a couple of dance classes in college before giving it up for good. i love watching dance, and it brings me back to my dancing days. i went up to bountiful on friday night for dinner with laurann and stefanie and to spend the night at laurann's house. michelle and the other coach jessica came over after solos. we talked about the fun sleepover we were going to have, but really we all just wanted to go to bed. this competition was a little crazy. there were a lot of big school competing, and there really wasn't room for everyone in the gym. the real dance mom got to the school at 2:45am to wait in line to get in the door. they brought tents and heaters and sleeping bags. this is serious business. i got up at 4:00am to workout, hurry and get ready, and get to the school by 6:00am. luckily the dance moms let us be pretend dance moms and get in line with them. the doors opened, and we got really good seats. it was a really long, fun day. we watched a lot of dances. i missed their lyrical performance last time. i was so excited to see it and their character. it was a fun filled day supporting michelle and the team. they did really well. we didn't stay for the awards, but they placed in every category. i felt like a proud dance mom. after the competition, sage, laurann and i grabbed some dinner and headed home. we were all completely exhausted from the day. how was your weekend? any exciting happs? do you ever feel like you're pretending to be someone? 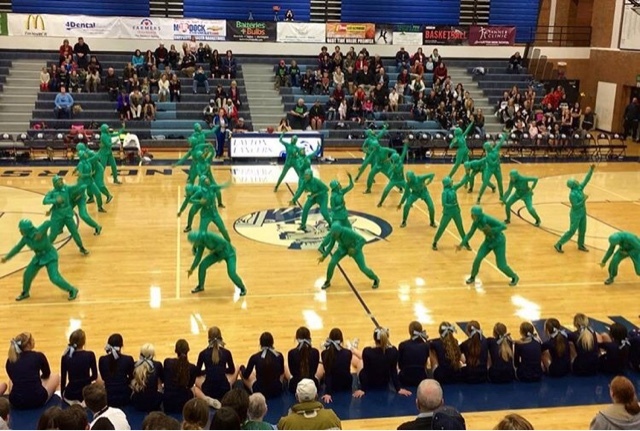 My cousin was on the Bountiful High dance team the past 3 years and she told me how nuts and intense that competition gets!